“Upon further examination of the relevant provisions of the Affordable Care Act and the administrative record on which the mandate was based, the departments have concluded that the application of the mandate to entities with sincerely-held religious objections to it does not serve a compelling governmental interest,” the document reads. 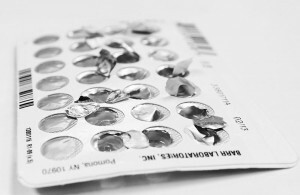 It provides numerous reasons as to why the government believes that religious organizations should be granted relief from the requirement, including that many religious employers that had challenged the mandate are not opposed to all contraceptives, but only those that are considered to be potential abortifacients. “For example, the plaintiffs in Hobby Lobby were willing to provide coverage with no cost sharing of 14 of 18 FDA-approved women’s contraception and sterilization methods,” the 163-page document outlines. Therefore, the accommodation requested—in the view of the government—was reasonable. “With respect to organizations and entities holding those beliefs, the fact that they are willing to provide coverage for various contraceptive methods significantly detracts from the government interest in requiring that they provide coverage for other contraceptive methods to which they object,” HHS explains. The department also recognizes that religious nonprofits were wrongfully being treated differently than churches, even though they operate similarly to houses of worship and hire people of faith just like churches do. “After considering the differential treatment of various religious nonprofit organizations under the previous accommodation, the departments conclude that it is appropriate to expand the exemption to other religious nonprofit organizations with sincerely held religious beliefs opposed to contraceptive coverage,” it writes. The department further notes that “[s]ome of the religious nonprofit groups challenging the accommodation claim that their employees are required to adhere to a statement of faith which includes the entities’ views on certain contraceptive items,” and such organizations have a right to choose to hire individuals based on whether or not they will respect the organization’s values. It additionally advises that there are numerous government programs that provide free or low-cost contraceptives for women, and therefore, there is not a compelling government interest to force religious employers to have to provide them as well. Pro-life and family organizations cheered the move, stating that people of faith should not be forced to violate their beliefs. “Although organizations that filed civil rights lawsuits will still need final relief from the courts, it is encouraging to see the Trump administration affirm the principle that all Americans should be free to peacefully live and work according to their faith and conscience without threat of government punishment,” said Gregory Baylor of Alliance Defending Freedom (ADF). “The federal government should never force Christian ministries to violate their faith or face crippling fines in order to continue their mission. We commend President Trump for fulfilling his promise to uphold the religious liberties of these organizations under the Religious Freedom Restoration Act,” also said Mat Staver of Liberty Counsel. “There’s no other way to describe it: today’s administrative action is a tremendous victory for conscience and religious freedom,” said CeCe Heil of the American Center for Law and Justice (ACLJ). As previously reported, in May, President Trump signed an executive order that included a recommendation that HHS consider amending regulations to accommodate the conscience objections to the contraceptive mandate. Numerous religious businesses, schools and nonprofit organizations had sued the Obama administration over the mandate, with the most high-profile cases being Burwell v. Hobby Lobby and Zubik v. Burwell, the latter of which was consolidated from seven lawsuits that included East Texas Baptist University and the Roman Catholic Little Sisters of the Poor.